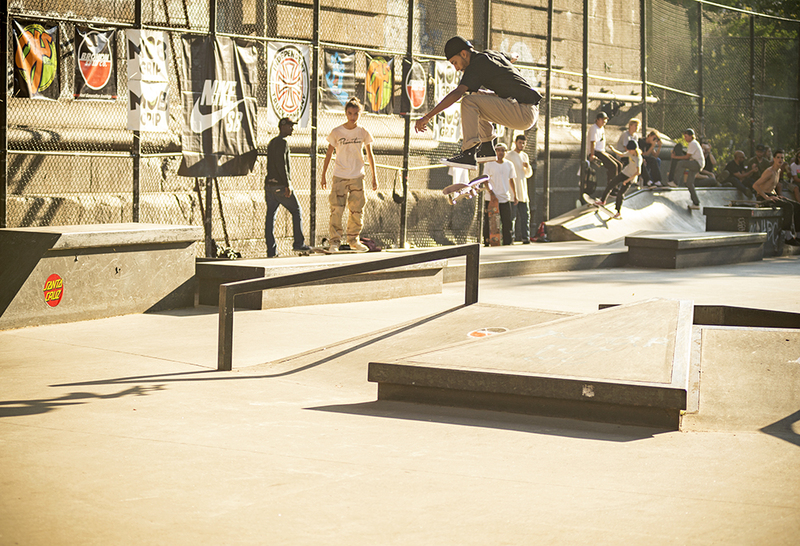 Back in 2015 at Damn Am NYC, Maurio McCoy literally launched himself onto the Damn Am landscape by kickflipping down the LES double set to start each of his runs. So yeah, he had our attention. From there Maurio ratcheted up his pop-flick-catch game to 11 and in the process lined up a full factory ride with our friends at Santa Cruz, he also became thee guy to beat at every Damn Am he shows up at. 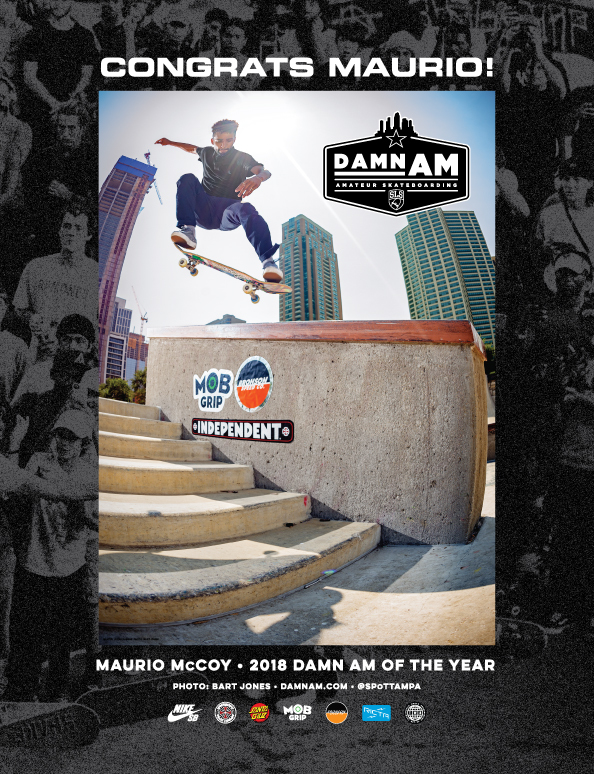 But last year, after winning Chicago and Woodward West, Maurio was exactly one trick away from the Damn Am of the year title at the NYC Finals, but lost it in a last second nail biter to Ivan Monteiro. 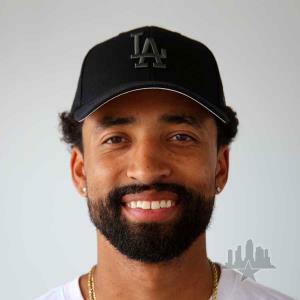 Fast forward to this year’s NYC Finals, after winning Damn Am LA and finishing 2nd in Chicago, Maurio was coming into it with Damn Am of the Year firmly in his control this time and only a handful of skaters with a chance to steal it away from him. But Maurio fell one too many times (which was actually only one time) and ended the Finals in 3rd, and it looked like it might be deja vu all over again. 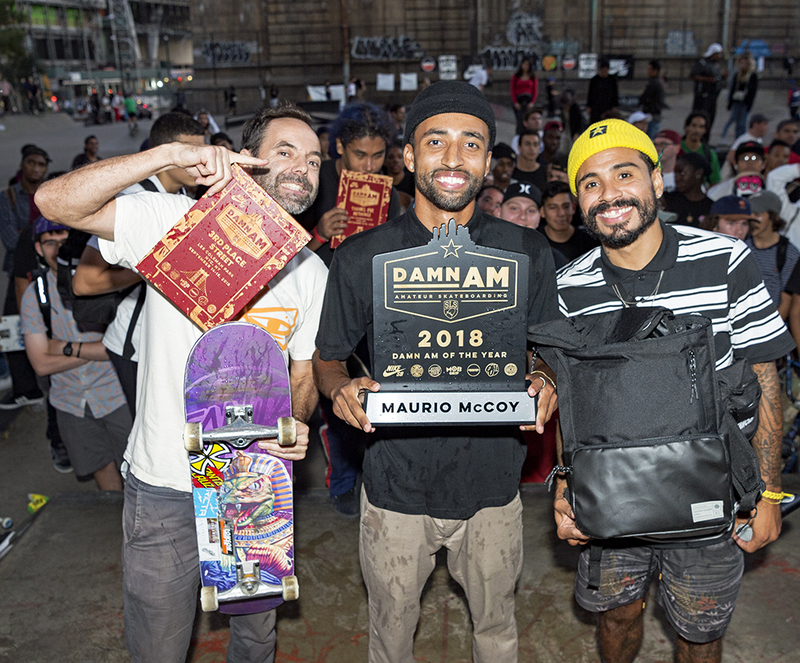 But when one by one the other DAotY contenders failed to nail the coffin shut, Maurio hung on to win the title, and follow in the footsteps of skaters like Luan Oliveira and Felipe Gustavo. So now he has a guaranteed spot in the Tampa Am Finals, and you better believe Mr. McCoy is the favorite. Congrats Maurio, bravo and well deserved, and a huge thank you from all of us at SPoT for being an incredible part of everything we do. See you in November. BSNBS during practice at Damn Am LA this year. This one was actually taken right outside ETN studios during Damn Am LA while everyone was just having fun. Hardflip up and over. Maurio sails a kickflip during Damn Am LA Finals, snagging first place in the end. Picking up 2nd place in Chicago this year, just barely out of first...and still a great sport. We got pretty used to seeing Maurio in the Finals this year. Damn Am NYC. That's one hell of a trophy...congrats Maurio!